The Synchroscope is an interesting power plant instrument which doubles up as two devices in one. If the generator frequency is not matched with the grid frequency, the rotation direction of the synchroscope pointer indicates if the frequency (generator speed) needs to be increased or decreased. When it stops rotating, the pointer angle indicates the phase difference between the generator and the grid. When [badjer1] [Chris Muncy] got his hands on an old synchroscope which had seen better days at a nuclear power plant control room, he decided to use it as the enclosure for a long-pending plan to build a Nixie Tube project. The result — an Arduino Nixie Clock and Weather Station — is a retro-modern looking instrument which indicates time, temperature, pressure and humidity and the synchroscope pointer now indicates atmospheric pressure. Rather than replicating existing designs, he decided to build his project from scratch, learning new techniques and tricks while improving his design as he progressed. [badjer1] is a Fortran old-timer, so kudos to him for taking a plunge into the Arduino ecosystem. Other than the funky enclosure, most of the electronics are assembled from off-the-shelf modules. The synchroscope was not large enough to accommodate the electronics, so [badjer1] had to split it into two halves, and add a clear acrylic box in the middle to house it all. He stuck in a few LEDs inside the enclosure for added visual effect. Probably his biggest challenge, other than the mechanical assembly, was making sure he got the cutouts for the Nixie tubes on the display panel right. One wrong move and he would have ended up with a piece of aluminum junk and a missing face panel. Being new to Arduino, he was careful with breaking up his code into manageable chunks, and peppering it with lots of comments, for his own, and everyone else’s, benefit. The electronics and hardware assembly are also equally well detailed, should anyone else want to attempt to replicate his build. There is still room for improvement, especially with the sensor mounting, but for now, [badjer1] seems pretty happy with the result. Check out the demo video after the break. Thanks for the tip, [Chris Muncy]. Everyone needs a bench power supply, and rolling your own has almost become a rite of passage for hackers. For a long time, the platform of choice for such builds seemed to be the ATX power supply from a computer. While we certainly still see those builds, a lot of the action has switched to those cheap eBay programmable DC-DC converters, with their particolored digital displays. This hybrid bench and portable power supply is a good example of what can be accomplished with these modules, and looks like it might turn out to be a handy tool. [Luke] centered his build around the DPS3003, a constant current and constant voltage buck converter that can take up to 40-VDC input and outputs up to 32 volts at 3 amps. In bench mode, the programmable module is fed from a mains-powered 24-volt switching supply. For portable work, an 18-volt battery from a Makita drill slips into a 3D-printed adapter on the top of the case. The printed part contains a commercial terminal [Luke] scored on eBay, but we’d bet the entire thing could be 3D printed. And no problem if you change power tool brands — just print another adapter. Those little eBay power supply modules have proven to be an enabling technology, at least judging by the number of clever ways we’ve seen them used lately. From this combination bench PSU and soldering iron supply to a portable PSU perched atop a battery, these things are everywhere. Heck, you can even reflash the firmware and make them do your bidding. When engineering a solution to a problem, an often-successful approach is to keep the design as simple as possible. Simple things are easier to produce, maintain, and use. Whether you’re building a robot, operating system, or automobile, this type of design can help in many different ways. Now, researchers at MIT’s Little Devices Lab have taken this philosophy to testing for various medical conditions, using a set of modular blocks. Each block is designed for a specific purpose, and can be linked together with other blocks. For example, one block may be able to identify Zika virus, and another block could help determine blood sugar levels. By linking the blocks together, a healthcare worker can build a diagnosis system catered specifically for their needs. The price tag for these small, simple blocks is modest as well: about $0.015, or one and a half cents per block. They also don’t need to be refrigerated or handled specially, and some can be reused. This is an impressive breakthrough that is poised to help not only low-income people around the world, but anyone with a need for quick, accurate medical diagnoses at a marginal cost. Keeping things simple and modular allows for all kinds of possibilities, as we recently covered in the world of robotics. When it comes to surveillance, why let the government have all the fun? This tiny spy transmitter is just the thing you need to jumpstart your recreational espionage efforts. We kid, of course — you’ll want to stay within the law of the land if you choose to build [TomTechTod]’s diminutive transmitter. Barely bigger than the 337 button cell that powers it, the scrap of PCB packs a fair number of surface mount components, most in 0201 packages. Even so, the transmitter is a simple design, with a two transistor audio stage amplifying the signal from the MEMS microphone and feeding an oscillator that uses a surface acoustic wave (SAW) resonator for stability. The bug is tuned for the 433-MHz low-power devices band, and from the video below, it appears to have decent range with the random wire antenna — maybe 50 meters. [TomTechTod] has all the build files posted, including Gerbers and a BOM with Digikey part numbers, so it should be easy to make one for your fieldcraft kit. If you want to dive deeper into the world of electronic espionage, boy, have we got you covered. Here’s a primer on microphone bugs, a history of spy radios, or how backscatter was used to bug an embassy. For his Hackaday Prize entry, [TegwynTwmffat] is going all-in on autonomous robotics. No, it’s not a self-driving car with highly advanced features such as cruise control with lane-keeping. This is an autonomous robot that’s capable of driving itself. It’s a robot built for agriculture, and relative to other autonomous robotics projects, this one is huge. It’s the size of a small tractor. The goal [Tegwyn]’s project is to build a robot capable of roving fields of crops to weed, harvest, and possibly fertilize the land. This is a superset of the autonomous car problem: not only does [Tegwyn] need to build a chassis to roll around a field, he needs accurate sensors, some sort of connection to the Internet, and a fast processor on board. The mechanical part of this build comes in the form of a rolling chassis that’s a bit bigger than a golf cart, and electrically powered (although there is a small Honda generator strapped to the back). The electronics is where this gets really interesting, with a rather large board built to house all the sensor and wireless modules, with everything controlled by a TC275, a multicore, 32-bit microcontroller that also has the world record for solving a Rubik’s cube. Already, [Tegwyn] has a chassis and motor set up, and is already running some code to allow for autonomous navigation. It’s not much now — just rolling down a garden path — but then again, if you’re building a robot for agriculture, it’s not that hard to roll around an open field. You can check out a video of the bot in action below. Unless you’ve got your ear on the launch pad so to speak, you might not be aware that humanity just launched a new envoy towards the Red Planet. Estimated to touch down in Elysium Planitia on November 26th, the InSight lander is relatively low-key as far as interplanetary missions go. Part of the NASA’s “Discovery Program”, it operates on a considerably lower budget than Flagship missions such as the Curiosity rover; meaning niceties like a big advertising and social media campaign to get the public excited doesn’t get a line item. Which is a shame, because not only are there much worse things to do with tax money than increase public awareness of scientific endeavours, but because InSight frankly deserves a bit more respect than that. Featuring a number of firsts, the engineers and scientists behind InSight might have been short on dollars, but ambition was in ample supply. 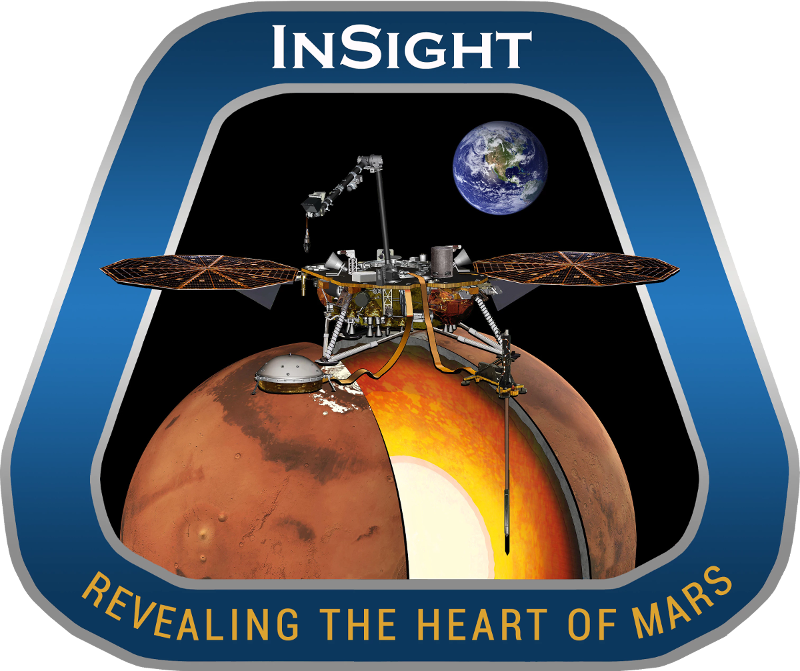 So in honor of the successful launch, let’s take a look at the InSight mission, the unique technology onboard, and the answers scientists hope it will be able to find out there in the black. This year’s LayerOne conference is May 25-27 in Los Angeles and Hackaday will be there! Hurry and get your ticket now as today is the last day for pre-registration. As the InfoSec community takes over the Pasadena Hilton next weekend you’ll wish you had a week instead of just three days to take part in all that is offered. There are organized talks and workshops on pen testing, being the bad guy, and DevOps Security. Learn or improve on your lockpicking skills in the Lockpicking Village. The conference hardware badge will be hacking in every direction in the Hardware Village, and new this year is an Internet of Things Village. If you ask us, the L1 Demo Party is where it’s at. We love seeing what kind of audio and video demos can be squeezed out of a microcontroller board. If you want one of your own, LayerOne is selling the L1 Demoscene Board on Tindie, and you can dig into the hardware on the Hackaday.io page. Take a look back at the results of the 2015 Demo Party for some of the highlights. This con has an incredible community supporting it, many of the people you’ll meet have been at every LayerOne since it started back in 2004. Supplyframe, Hackaday’s parent company, has been a sponsor since 2015 and is once again proud to support the event and sponsor the hardware badge. Members of the Hackaday and Tindie crew will be on site so come say hello and don’t be afraid to bring a hack to show off!